Two of them resulted in huge crashes at the front of the field, in back to back caution periods. In one of those, Stenhouse clipped the left rear of Kyle Busch. That turned him into Byron and it took out both the leader and second place in a single shot as Stenhouse assumed the lead. A call after an on-track accident can go a long way. Joey Logano fells a call to Matt Kenseth after Kansas Speedway would have prevented what Kenseth did in famed fashion at Martinsville Speedway a few weeks later. After Daytona, there was no call. Dustin Long: Did Ricky Stenhouse reach out to you? If so, was it worth while or a waste of time? “He did not reach out,” Kyle Busch clarifies from Kentucky Speedway. Does that change how you race him? 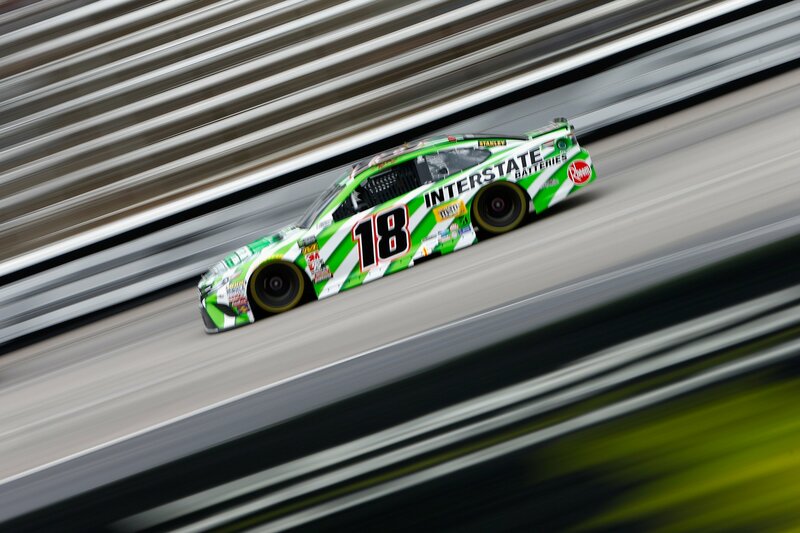 Ahead of Kentucky Speedway Kyle Busch has an average finish of 8th with 5 wins in the 2018 season. Ricky Stenhouse Jr has an average finish of 18th. Claire B Lang: Some drivers don’t want a call. It doesn’t do anything. It doesn’t change anything. Are you one of those that feels that’s what you gotta do and that it does make you feel better? It certainly doesn’t help things as Ricky Stenhouse Jr has been called out for being too aggressive at previous superspeedway races since winning two in 2017. Kyle Busch is now resetting his focus. The field heads to Kentucky Speedway this weekend. “Typically, we always go to restrictor plate tracks knowing we’re gonna crash. That doesn’t bother us much. We just come out this week for a mile and a half and concentrate on what we can control.